Our low prices have caused our inventory for this item to run low. You can still lock-in today’s sale price and order today. We will ship you the item as soon as our inventory increases, which should be on or after May 29, 2019. Just add it to your cart and proceed normally through the checkout process. 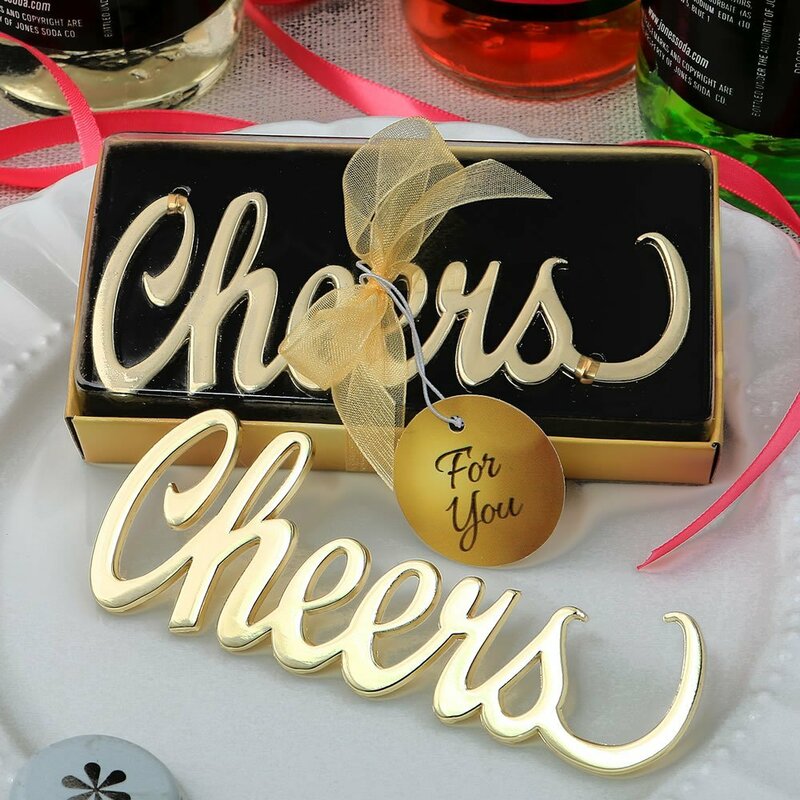 'Cheers' is the universal toast - offered at any event where friends and family are celebrating. Bring Cheers to your unique occasion with these stunning bottle openers. From our latest collection, Fashioncraft brings you a classy solid caste metal bottle opener with a luxurious gold finish. Spread a little good cheer at your special event! 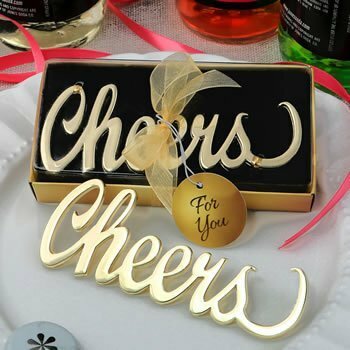 The handle of the opener is the word "Cheers" formed in a script font with the bottle opener attached to the letter 'S'. Perfect for opening any bottle. This useful favor is the perfect take-home gift for your guests for any occasion from weddings to anniversaries. This high-quality favor comes packaged in a gold Bokeh themed gift box with clear top and gold organza ribbon and bow. Attached to the ribbon is a matching gold 'For You' tag. Size 4 1/8" x 1 5/8" x 1/8"